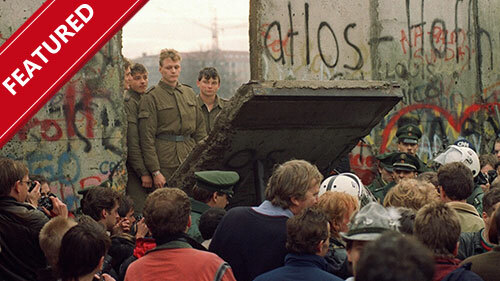 No other year in recent history has played a more pivotal role in shaping the present than 1989. Thirty years later, this series look at the iconic events that defined this year and continue to dominate public conversation from fundamentalism and race to gender equality and the influence of the Internet. The end of the Cold War, the dismantling of Apartheid, the launch of the World Wide Web and the premiere of The Simpsons. If just one of these took place in 1989, it would be considered a watershed year. But these were just the beginning. Mnqobi Simelane (Hamilton Dlamini) is a successful businessman and global player on the brink of landing a lucrative business deal that would make him and his partner happy. His first wife, Cebisile (Gcina Mkhize), is his childhood sweetheart from their rural village in KwaZulu-Natal. The second wife, Dumile (Nokuthula Ledwaba), is a city girl born and raised in Soweto. Despite their differences, the two women live a relatively amicable life. Soon, the peace and equilibrium of the Simelane's household is in imminent danger when Mnqobi drops a bombshell which shatters the peace of the family: he introduces his possible third wife, Khwezi (Nomzamo Mbatha). Jamie Oliver has got incredible recipes, inventive ideas and tidy little tips to create gorgeous food for less dosh. There are also clever tips on making beautiful mid week suppers from the weekend's leftovers and how to make your own easy flavoured oils. Featuring delicious dishes specially designed to keep quality up and cost down, Save with Jamie proves that saving cash in the kitchen doesn't have to mean missing out. With Jamie's everyday tips on savvy shopping and clever cooking, every recipe is proof that everyone can enjoy better food, for less. For thousands of years, Korea was known for its staggering natural beauty now, it is better known for its decades of conflict. But beyond the battle scars and the fortifications, there's a land of stunning natural beauty and remarkable wildlife. Once a mountain kingdom of ancient palaces and emperors, Korea in the twenty-first century is largely known for its modern cities and decades of conflict. Tensions between North and South may be what define it to outsiders but beyond the battle scars there is another side to Korea. In the south are large pockets of untouched wilderness where extraordinary animals flourish and Koreans continue to practice age-old traditions in tandem with the seasons and with nature. 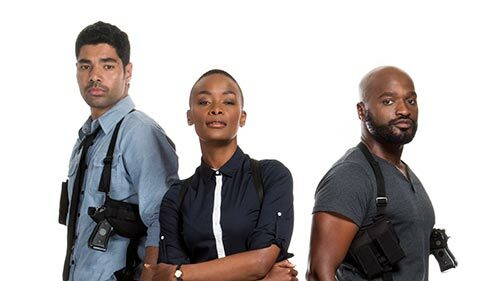 Detective drama which deals with the underbelly of Cape Town - drug trafficking and human trafficking - and follows Detective Lungi Mlaba (Bonnie Mbuli) who, in the course of a murder investigation, finds her own integrity is severely put to the test. Despite being a brilliant cop, she is first and foremost a compassionate human being with her own needs and insecurities, trying to balance the demands of her home environment in the township with her working life in the suburbs. Detective Mlaba and her partner, Detective Sibanda (Bongo Mbutuma), want to ensure that victims of crime are given the same treatment, regardless of their social standing. Talk show hosted by Karan Johar which revolves around celebs spilling the beans while having a hot cuppa. In the Season 5 premiere: Karan probes Alia Bhatt about her personal life and sharing the screen with King Khan, while Shah Rukh Khan talks about being a protective father and competition with himself. In the fourth season we travel through Namibia with Rudie and Marlice to investigate various conservation issues, from the Queen's Canopy project which focuses on the relocation of plant species in the desert to illegal fishing in the Caprivi. Work continues at Naankuse and a major project is launched where some of the animals are being relocated to a neighbouring reserve. Rudie and Marlice also try save a rhino that has been injured during a poaching attempt. Shows in this post: Umlilo, Traffic!